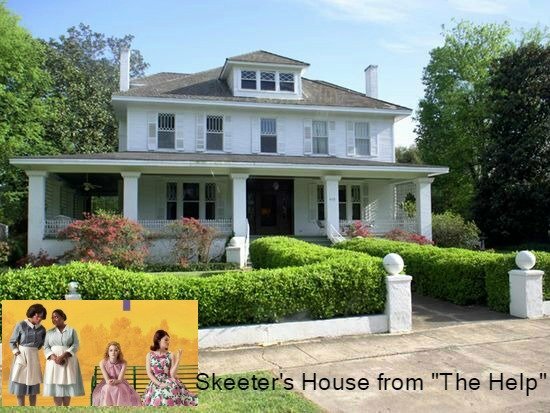 Skeeter’s House from The Help movie is a grand Prairie Style historic home. 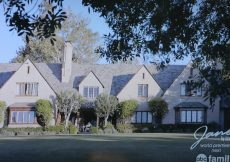 They filmed all the interior scenes for Skeeter’s House from inside this small stately home. 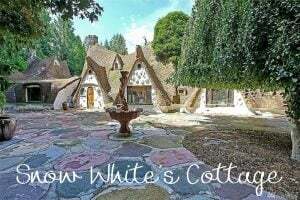 I am excited to see Skeeter’s house for sale because I did a movie post on all the ladies houses from The Help movie ; Hilly Holbrook’s House, Elizabeth Leefolt’s, Celia Foote’s house, and of course Skeeter Phelan’s. 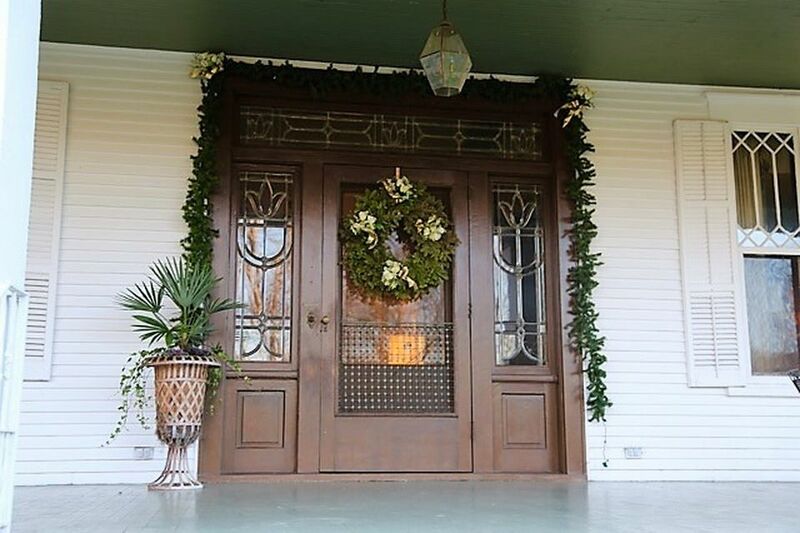 The house is at 613 River Rd in Greenwood, Mississippi and is on the market for $240,000. 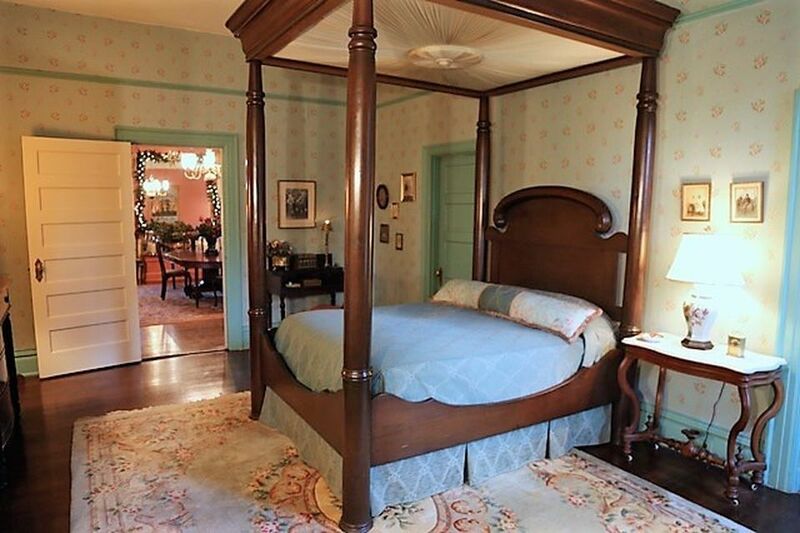 Not a bad price tag for a famous movie/historic home. Skeeter’s House from the Help movie is circa 1910. Five bedrooms and three baths. 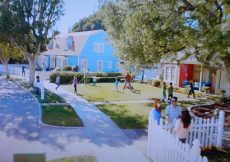 The home has a throwback street entrance like you’re walking back in time and a big shady wraparound porch. 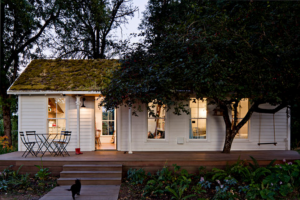 I love wide wraparound porches big enough for a party. A nice front door with beautiful glass side panels. 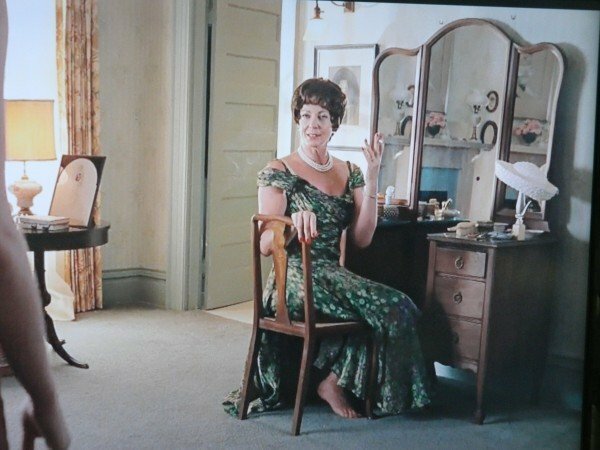 The Help movie has the glass side panels covered with white curtains in this scene with Skeeter Phelan played by Emma Stone. 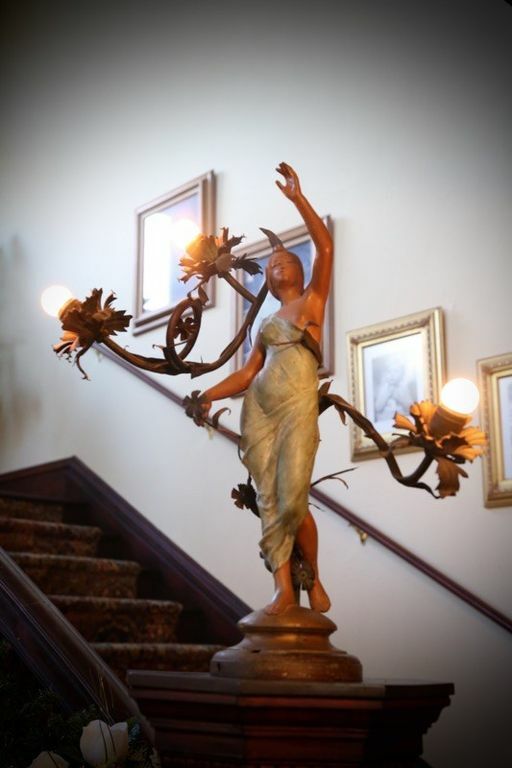 I had no idea the light up figure on the stairway column in the movie was actually a statue of a lady with lights. She looks a lot bigger in the actual Skeeter House. 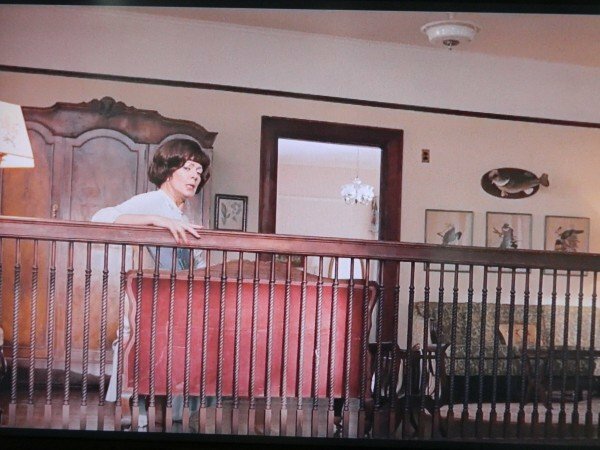 Charlotte Phelan played by Allison Janney in a scene featuring the grand stairway landing area. 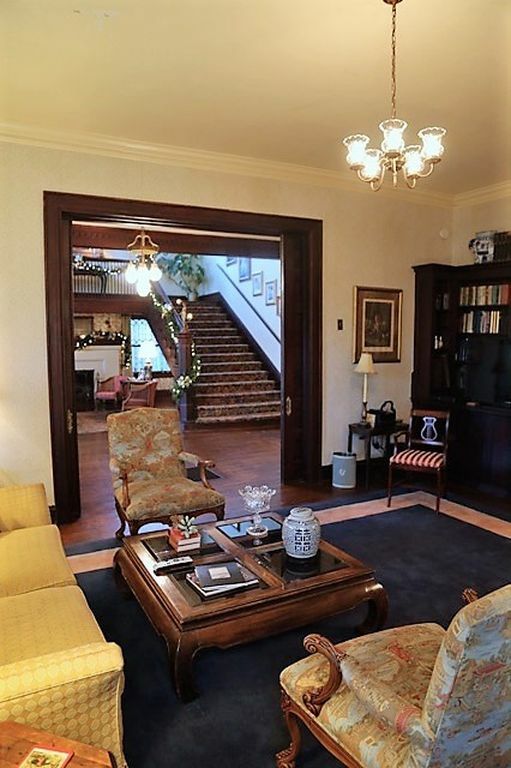 The upper staircase landing is quite spacious. The scene from The Help movie showing room for a couch, table, lamp and armoire. 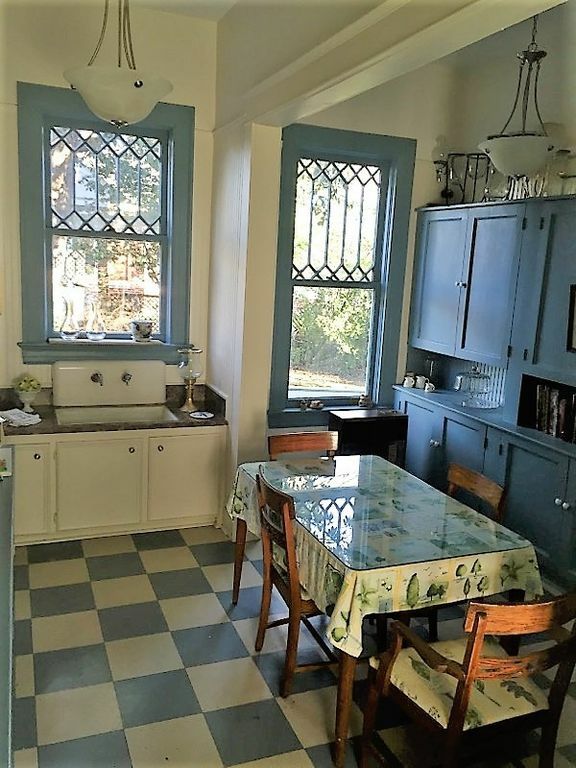 The antique leaded glass windows have their own adornment and let in a lot of light. 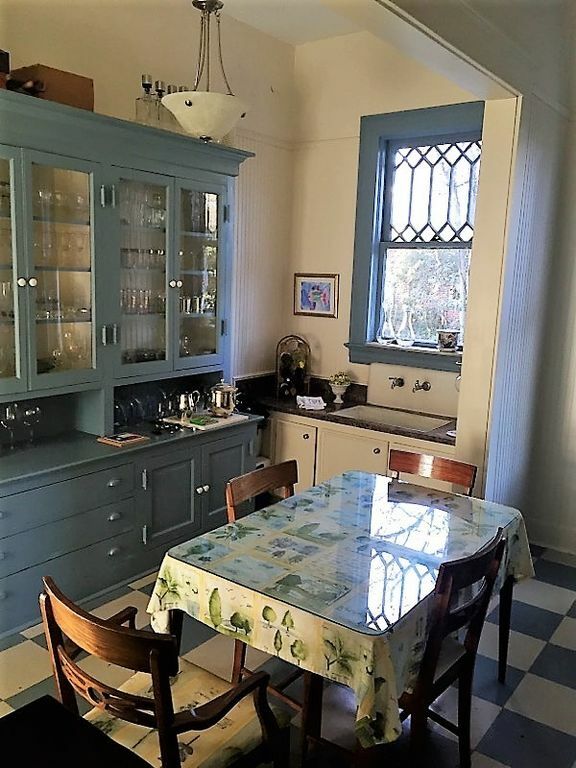 This looks like the same corner in the kitchen as just above where the movie staged early 60s Breeze laundry detergent. 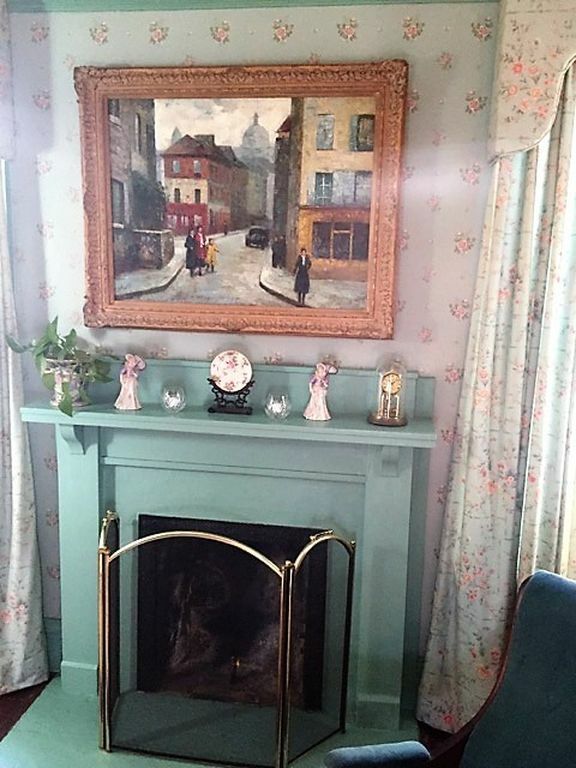 BEDROOMS: We get a look at one of the five bedrooms that has this cute blue fireplace. 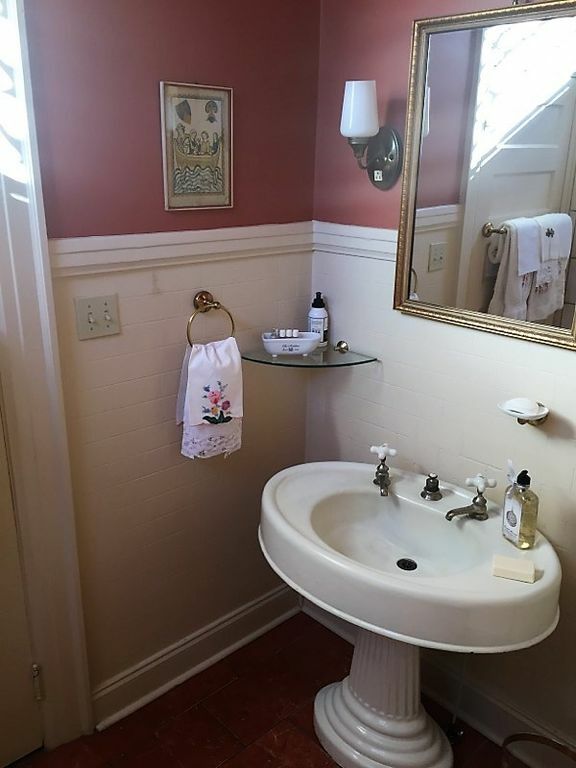 BATHROOM: One of the three bathrooms. 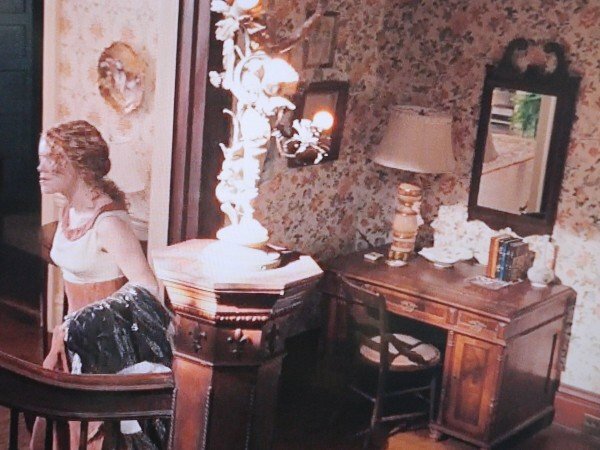 Here’s Skeeter’s Mom sitting at her dressing table that fits perfectly with this bedroom it makes me wonder if it’s an original piece of furniture in the real house OR a stage piece for the movie set. 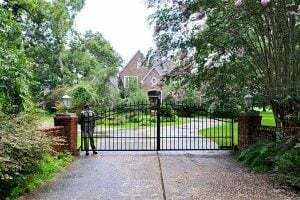 Either way, we can see she is sitting in the real house in Greenwood, MS. 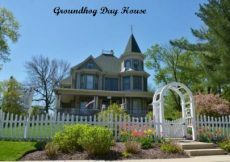 The house has been on the market for a few months. 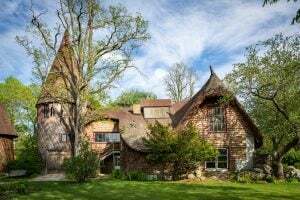 Since it’s in the Historic District it likely has to be maintained in its original state. 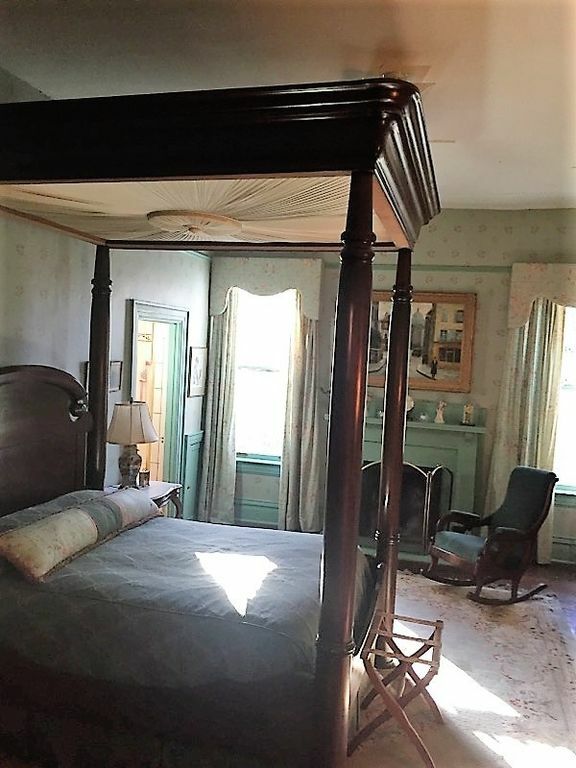 The grand historic style bed likely doesn’t come with the sale of the house but is a perfect fit for the bedroom decor. 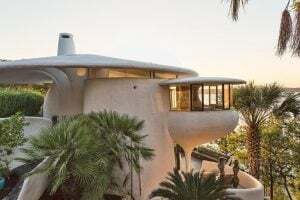 Head over to Zillow if you want to see more about Skeeter’s House. 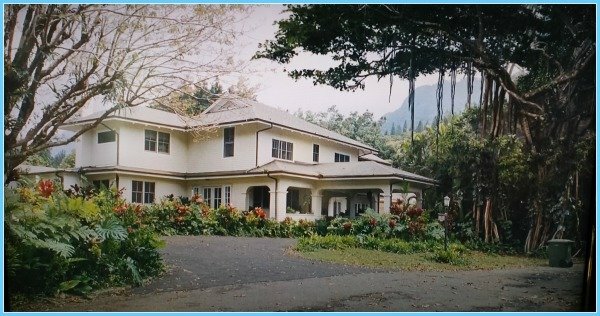 Did you see The Descendants Movie Houses? Thank you for making Housekaboodle part of your day. I enjoy hearing from my readers. Sorry, this isn’t Skeeter’s house. 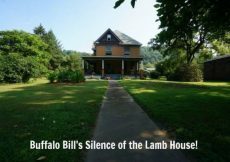 The house they used for the outside shots were filmed at a house that is located just out of the city limits. 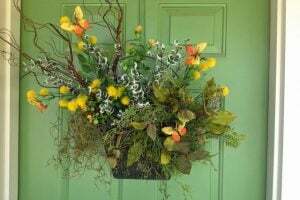 The interior shots were of the Garden Club headquarters. I’m pretty sure the house on River Road that this article is about wasn’t even used in the filming. It’s just a big white house, lol. Hi Kelly, you are confused. 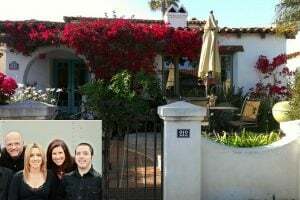 The inside of this house was used to film the inside movie scenes, as I said in the article. 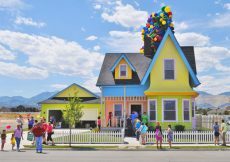 This house looks huge. 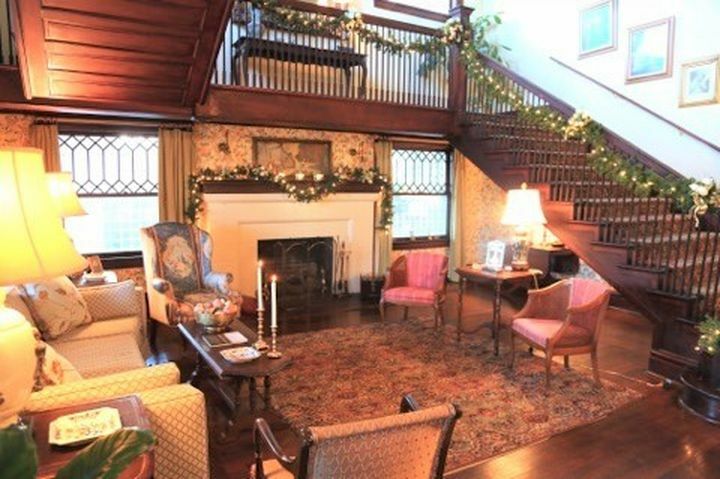 I think my favorite parts are all of the beautiful trim and the staircase. It is so wide compared to my skinny little thing! Thanks for sharing this. I love a wide staircase as well and that landing could be a bedroom it is so big. 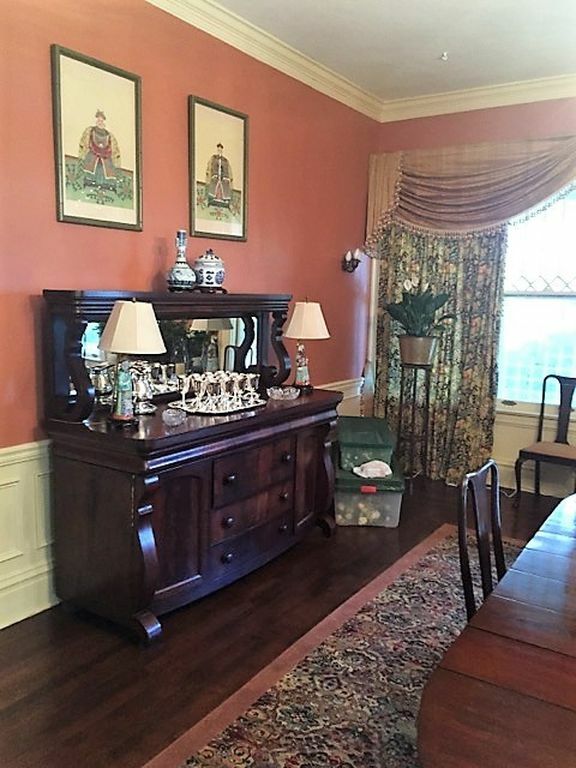 Beautiful details and fine craftsmanship went into this home! Can’t believe that price! It is a great price. Must be nicely priced homes in this area. It is always nice to hear from you my friend. What a gorgeous home! 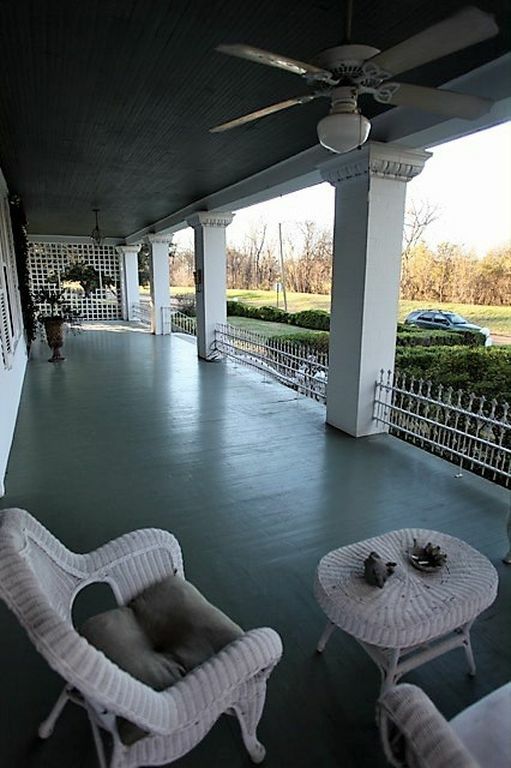 I am in love with that front porch. Loved this movie also. Glad to hear from you today Heather and that you like the house and movie which is such a classic now. 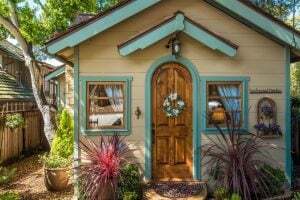 Love all your sweet house shown today in this post. Love all the skeeters. Very pretty. 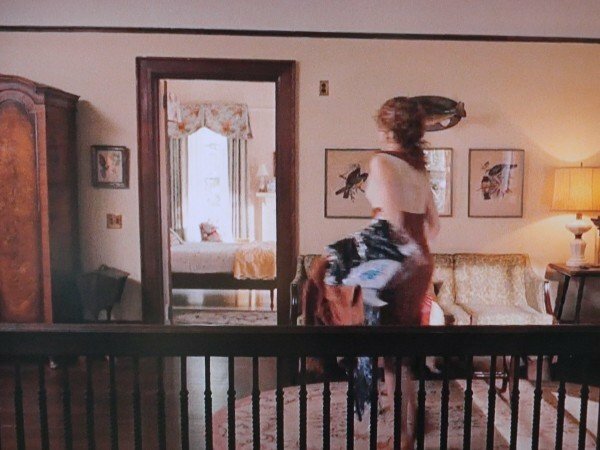 Love this house so much, when watching a movie like this one, I can’t stop looking at the furnitures, drapes and accesories more than the movie itself. Great post loving it. Hi Fabiola! Nice to hear from you. You are like me then with looking at the furniture and drapes in movies. Have the nicest holiday weekend. 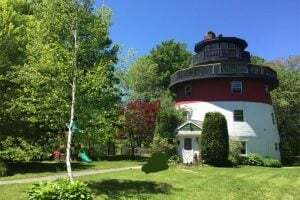 That is a great price for this beautiful home. I love the front porch! 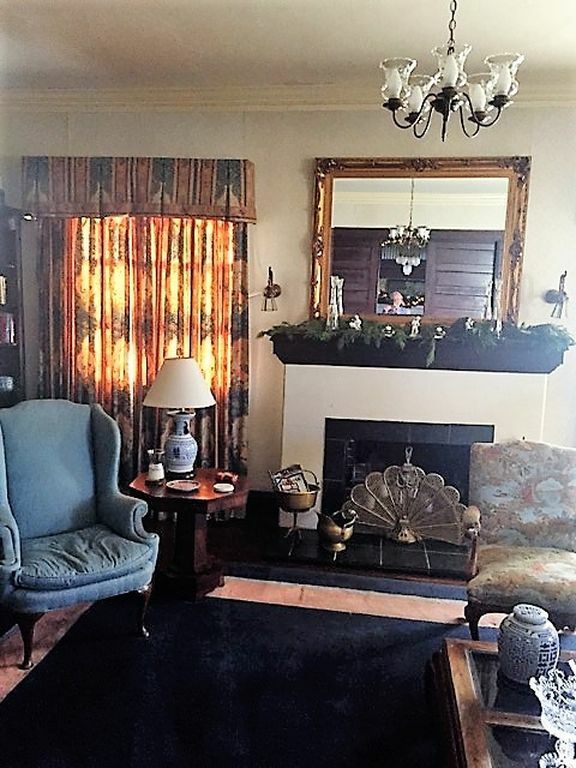 I hope someone buys it and makes a lovely home for their family. 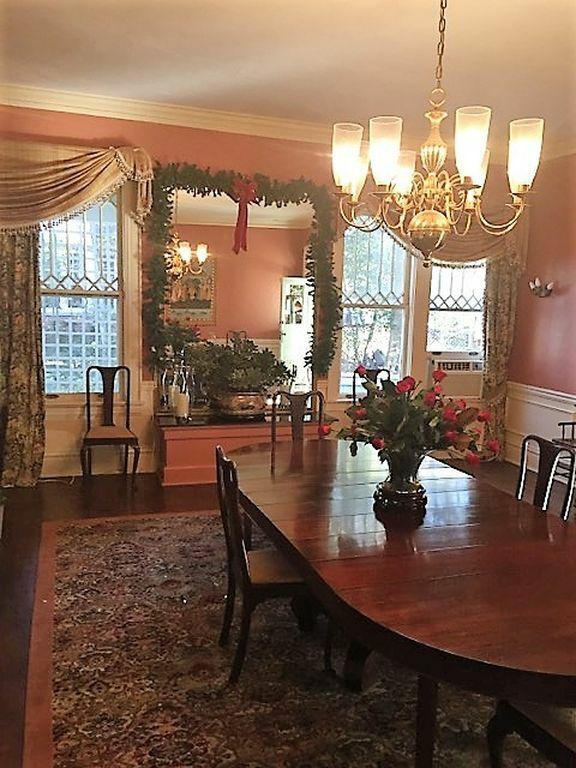 I think it’s a low price for a historic famous home.